Chief Brinkert graduated from the Kalamazoo Regional Recruit Academy in 1984 and went to work for the Vicksburg Police Department and Schoolcraft Police Department part time before he was hired full time by the Benton Harbor Police Department. Chief Brinkert was named Benton Harbor Police Officer of the Year 1992 for his work to reduce crime and drugs and to improve relations in the city's housing developments. 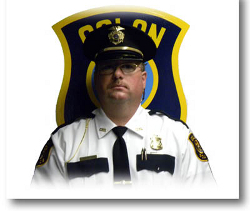 In 1993 he was hired as chief for the Village of Colon. In 1995 he accepted a job with the Village of Schoolcraft but remained part time in Colon. 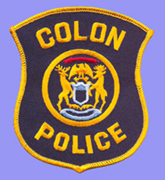 He returned to Colon full time in 2000 and was appointed Chief in 2005. He is on the St. Joseph County 9-1-1 Board. Mark enjoys spending time with his family, working in their yard and fishing with his son. Sergeant Herr graduated from Kellogg Community College in December 1999, going to work for Emmett Township Department of Public Safety part time. In 2001 he was hired part time in Colon. In 2003 he became full time then was promoted to Sergeant in 2006. Sgt. Herr is the department's training officer, investigator and weapons armorer. He is a member of the St. Joseph County Special Response Team. Joel enjoys spending time with his family and playing cards in his off duty time. 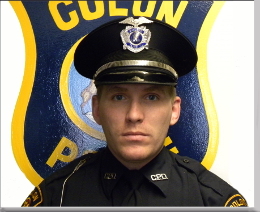 Officer Bingaman graduated from the Kalamazoo Regional Recruit Academy in June 2006 and was hired by the Village of Colon in January of 2007 as a full time officer. 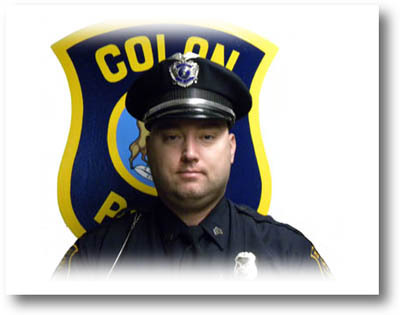 In January 2009 he went to work full time for the St. Joseph County Sheriff Office but remains a part time officer for Colon, filling in and working special events. Off duty Jeff is a Notre Dame fan and enjoys spending time with his wife and daughters. 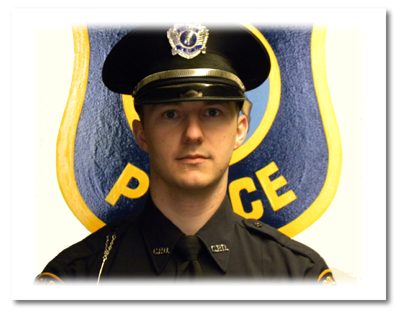 Officer Ferry graduted from Kellogg Community College in June 2013. He was hired part time by City of Bronson and Union City. In 2015 he was hired part time then promoted to full time in May of 2015. Ofc. Ferry completed TEAM training at the Michigan State Police Academy March 2016 and will begin working in the schools in the fall. Off duty he enjoys spending time with his wife and children, hunting and fishing. 65% of teen passenger deaths occur with a teen driving.